As usual, I tend to incorporate a long introduction to explain my buying process and why I picked something specifically over the 100,000 alternatives on the market. If you’re not into longwinded introductions and don’t care why I picked this specifically, feel free to skip over this section. The challenge with the X-E3 is that if you want to carry it around in your laptop bag, there isn’t the availability of hard cases you can find for the X100. 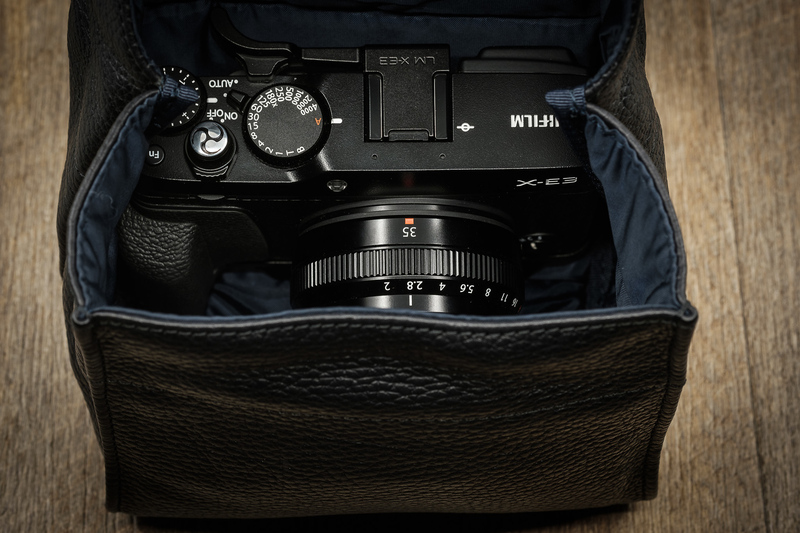 Even the X100 series is not without its problems the moment you add a hood, thumb rest or grip as this has the potential to complicate the options. After I picked up the X-H1, I spent some time “umming and ahhing” over whether I should dump the X-E3 and replace it with an X100F. It wasn’t any easy choice and one that I’m not alone with as I seem to get numerous questions about it. For me it came down to having the ability to take either the 27mm, 35mm or my 9mm whilst still maintaining a small camera profile. I also like flexibility of having one camera I could give to a novice like my wife and switch it to auto mode. Neither my X-H1 nor X-T2 have an auto mode and neither does the X100F. The X-E3 on the other hand does. Perhaps the next edition of the X100 might offer something more appealing, a tilt screen, weather sealing, maybe a new 23mm, who know, but for now, the X-E3 wins for me. Having settled on the X-E3, I decided to investigate options for a case to put in my laptop bag. I like the old adage of buy once, buy rights and where possible, and I buy leather or canvass for long term durability. They also tend to weather better and still look good with age, where nylon can start looking tattered with threads hanging off after a year or two and after replacing once or twice you end up spending more anyway. I tried a Domke lens wrap that I already had for a while, it worked but the protection was a bit of a mixed bag. The way wraps work is the always offer more protection on one side, but it’s also not what I’d qualify as a long term solution or one for taking out the camera alone without a bag. In the end, after seeing a good deal on the ACAM-75, I decided to give it a go. Artisan & Artist aren’t new to the camera game. 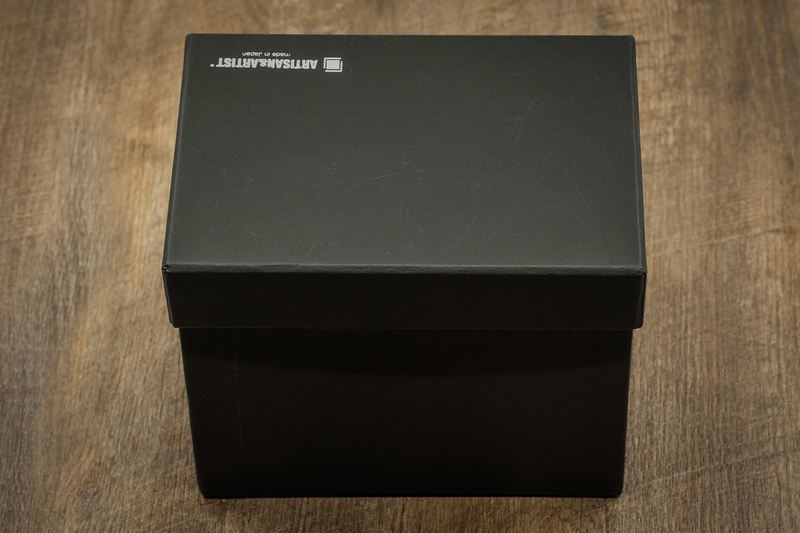 They’re a company from Japan who have been providing Leica accessories for years and we all know what that means… pricey! Despite the less than appealing pricing, the quality of the goods are very good. The ACAM-77 retails for $160 depending on the country you live in. In Australia, they retail for $190 which isn’t bad given the exchange rate. It is pretty damn expensive for a small leather bag about a third of the size of an ONA Bowery. Artisan & Artist also make a material version for about half the price. Is it expensive? Yes, I think it is but I think it’s all relative. There are some people who won’t be prepared to spend that and I accept that, but when you have leather camera straps going for upwards of $150, it’s not completely unreasonable. When you start to look around, there isn’t much to compare it to if you want something in leather. 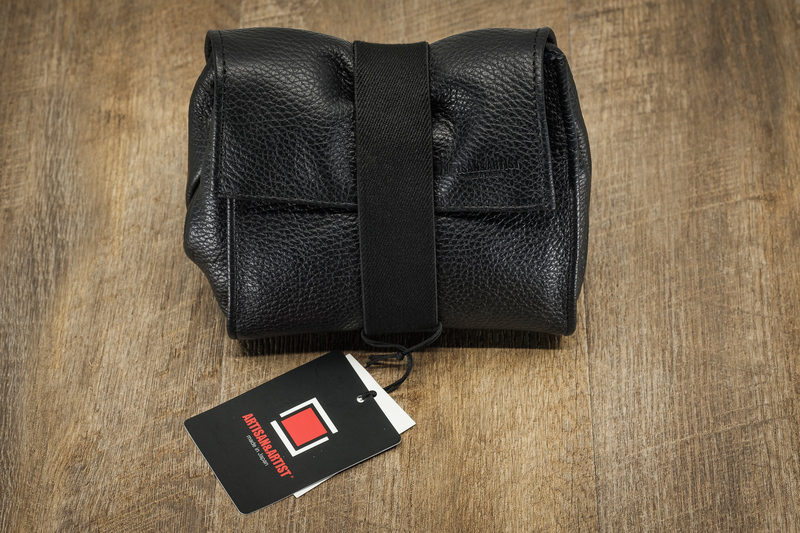 Lots of larger leather camera bags, not many pouches and the pouches go for similar pricing. 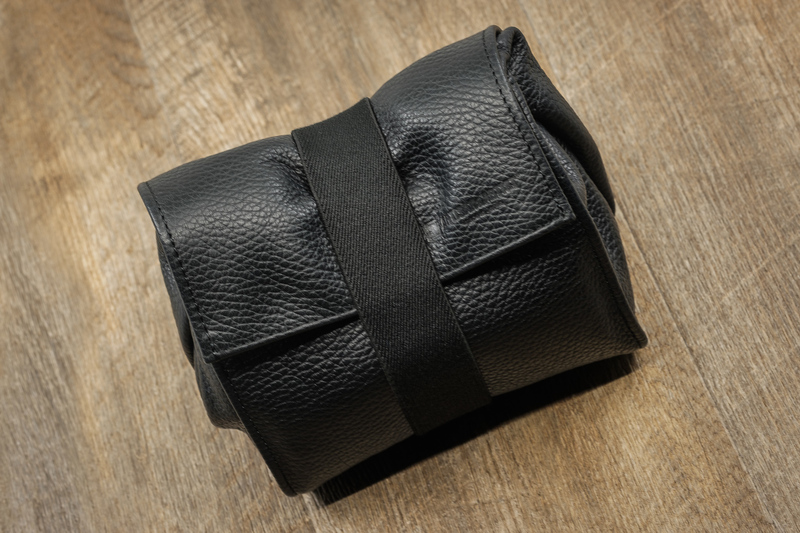 On Etsy I found a couple of soft leather camera pouches, all of which were fairly pricey comparatively speaking. Another leather pouch with magnets. There are quite a few non-leather alternatives if leather isn’t important. I was lucky in the case of the ACAM, I was looking for something else and I happened to find a new ACAM-77 for the price of the material version. As expected, the ACAM-77 comes packaged in a nice upmarket box with a light material bag to protect it. No surprises there. 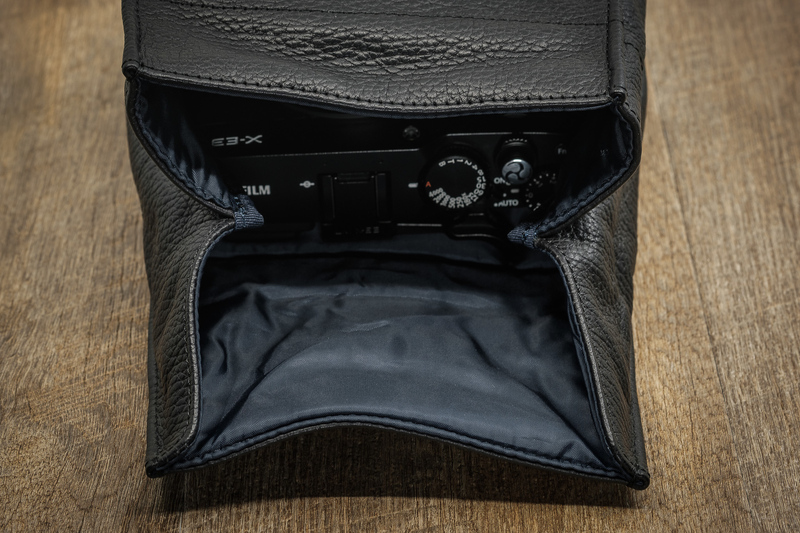 The ACAM-77 is a $150 soft leather pouch so when I consider construction, I think to think of it in line with that. It’s a $150 leather pouch. No straps, no accessory pockets, that’s it. If you’re expecting bells & whistles, good luck. Generally bells and whistles don’t exist in leather land. There isn’t much on the market to compare it to as mentioned above, and even the reviews are few and far between. Soft leather has a tendency to be more expensive than hard leather due to the process required to make it soft so it’s hard to compare material cost to something like an ONA bag. Construction is as expected.  It’s hard to be overwhelmed with an expensive pouch because you have high expectations to start with. The soft pouch uses a simple and effective method with a pouch and broad elastic wrap that keeps it closed. Given the thickness of the elastic, I don’t believe this will stretch to a degree that it’s problematic, but that will only show itself in time. The leather quality itself is great, in the absence of a leather expert, all I can say is that the leather quality seems good quality. One of the most important thing with a bag like this is protection. Ultimately it’s designed to be placed inside a larger bag and offer protection, which is similar to my requirements. Protection in this case is adequate, but not particularly impressive and I’d still say you need to be fairly careful with your bag as this isn’t going to offer the level of protection of something like the X100 hard case. It’ll prevent the camera getting scratched, and it’s better than the Domke Wrap. I would really have liked lo see them go a little more robust on the protection, potentially some slightly thicker padding just to take on the heavier knocks but it’s a question of balance. The case is surprisingly functional. I say surprisingly because a lot of concepts are great in theory but crash and burn from a functionality perspective when it comes to using them. In this case they nailed it, functional, simple and it works. Magnets, straps and clips can all come loose in a bag but the tight elastic band does a good job. The other advantage with this design, is that the elastic band compacts the case ensuring a tight fit and removing any unused space. If something can flop around inside a case, it can be damaged. From a fit perspective, it’s a little larger than expected, as it does expand as mentioned above. That means fitting an X-E3 with grip, thumb rest and small lens will fit without a problem. From a lens perspective, it will fit any of the smaller lenses like the 18mm or 27mm with a hood fitted, along with some of the smaller primes. My Laowa 9mm fits fine, the 23 or 35 Fujicrons will also fit although you’ll have to remove the hoods and it will be a little tight. Where the design fails is the use of a strap because unless you have a removable strap that can be taken in and off easily, you’ll have to put the strap inside the bag. 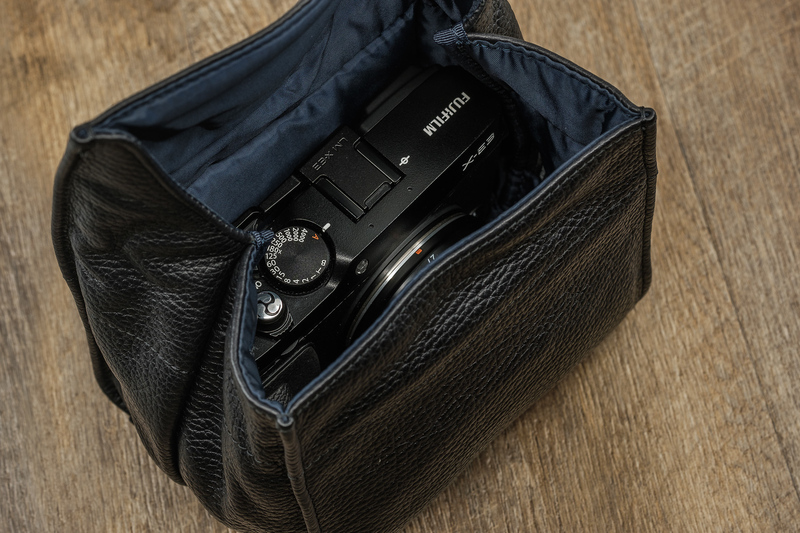 With the elastic strap beyond fixed, it doesn’t cater for a strap coming out of either side of the bag so you’ll either have both straps coming out the same side or have to put the strap inside the case. Not the ideal situation but it’s a price you pay for not having Velcro or something else that can come loose. Aesthetically, the Artisan & Artist Pouch hits the mark. It looks good and most of all the aesthetics hasn’t impacted the function of the pouch. It looks good and works well. It’s a simple design so it’s hard to complain about too much, but there is one or two small issues. Firstly, what I would like to have seen is somewhere to put a spare battery, as the pouch has no storage options other than the main pouch. I think it would have been possible to add something to the inside of the lid. Given this is targeted at mirrorless which doesn’t have a great battery life, it would have been a nice addition. As mentioned under the protection section, it would have been nice to see some heavier duty padding. It’s not unacceptable but the padding is fairly light in the interests of keeping the weight and thickness down but some of the newer bags like the Shimoda offer padding that is far stronger but still maintains the same light weight and thickness. I think this would be due the design being older as this Artisan & Artist would not have benefitted from newer technology. Finally, if you intend using it with a strap, the fixed elastic means you will have to have the strap coming out of one side of the case. The Artisan & Artist ACAM-77 is a very good camera case and achieves exactly what it was designed to achieve. It is a great quality and functional case that looks and feels like a premium product. It’s comes with a sizeable price tag and the reality is that it’s going to be too pricey for many users. Artisan & Artist are marketed at the premium end of the market, namely Leica users. The protection may meet most user requirements, but I don’t think I’d be comfortable putting it in a suitcase with heavy items like shoes but I would not have any concerns about having this on my laptop bag. If you’re looking for a small bag or pouch to go inside your laptop bag, that is both functional and stylish, and you have the budget, I’d highly recommend this. Prev Post: Is Eye-AF the solution to Fujifilm’s problems?